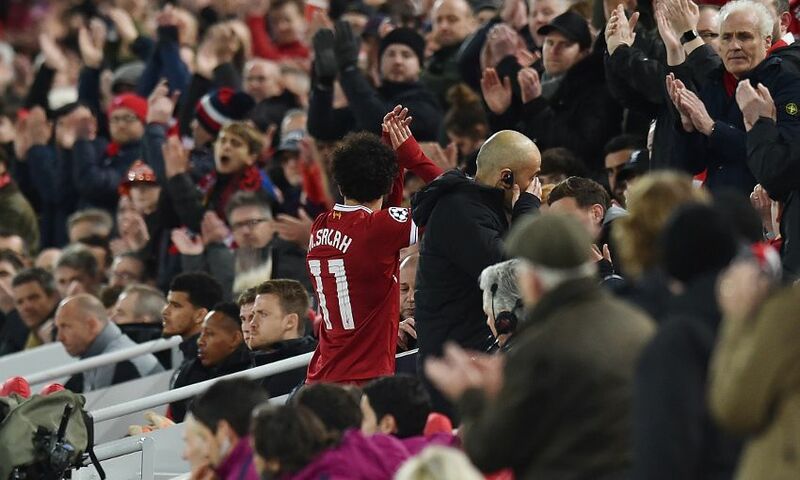 Liverpool must assess Mohamed Salah's injury in the coming days after the forward was substituted early in the second half against Manchester City. The Egyptian scored the opening goal of the Champions League quarter-final first leg at Anfield and created the third for Sadio Mane as the Reds claimed a 3-0 cushion in the tie. But one downside of the evening was the sight of Salah limping off seven minutes after the interval. "I don't know in the moment," said Jürgen Klopp when asked for an update on the No.11 in his post-match press conference. "He came to the sideline and said he feels sometimes something; for me, that was enough for me to not even ask the Doc how he was, we immediately took him off the pitch. "After the game I asked him and he said, 'I will be good, it will be fine'. But now we have to wait for the real diagnosis, not Mo's self-diagnosis. "We will see, I don't know at the moment." The manager also lamented the late yellow card which means Jordan Henderson is ruled out of the second leg next Tuesday. "Obviously since I'm here, [there is] nothing good without a little bit bad. Hendo is suspended - not too cool," said Klopp.